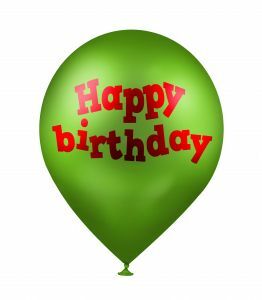 Today, April 14th, is my birthday so I thought I’d do a birthday-themed blog post! It’s especially fitting because my debut novel, FAST FORWARD, which was released a couple of months ago, takes place mostly over one day – the main character’s birthday. Young, hip, and gorgeous Kelli, from Fast Forward, is getting ready to celebrate her 25th birthday, but she wakes up to the birthday present of her nightmares – she’s jumped ahead to the future and is a 50 year old flabby, wrinkly, housewife, married to the nerd she used to tease in high school. Not only that, she has two grown children she doesn’t recognise, a daggy best friend, she has to give an important business presentation of which she knows nothing about, and she has no idea how to get back to her old, I mean, young life. I’m glad to say I’ve never had a birthday as challenging or memorable as Kelli’s, but I’ve had a lot of good ones! 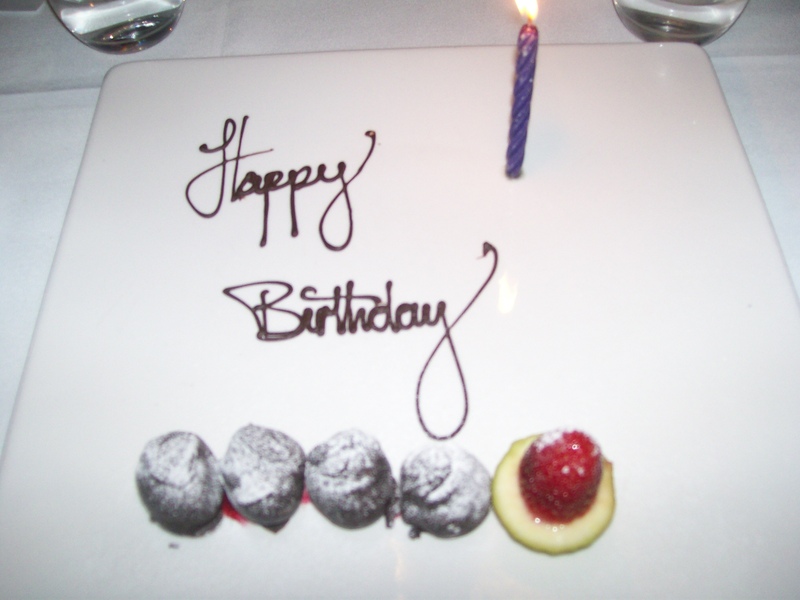 (The photo of the chocolates on the plate was taken at a restaurant for my birthday a couple of years ago). At my thirtieth I had a fancy dress costume party with a 70’s and 80’s theme. Guests had to come dressed as someone from either of those decades. I dressed as a psychedelic chick with straight hair parted in the middle and wore white flared pants and a multicoloured top, and my son dressed as Michael Jackson in the afro stage, complete with black shoes with white socks. A couple of my cousins around the same age as me dressed as girls from the eighties with lovely teased fringes (bangs, for my US friends), ponytails, and lovely eighties clothes and jewellery. We hired a juke-box to play music from those eras, and it was a lot of fun! My best birthday memory was for one of those horrible ones with an 0 on the end. My family decided to treat me to a ‘ride on a Harley’ as I’d been rabitting on about it. 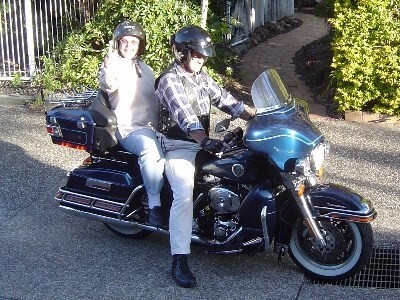 I was collected from the house and driven right around the Gold Coast on this wonderful Harley motorbike, letting rip with whoops of joy as we zoomed around the roads. It was amazing. My ‘driver’ was a hoot and totally entered into the spirit of the thing, but a very good driver. My mother was the archetypal feminist and she vetoed a series of dodgy presents from my wish lists over the years. Like the time I wanted a bride doll, and I got a Basil Brush puppet. Or the time I wanted Pretty in Pink Barbie, and got a budgie. All that changed when I was 12. I got some birthday money, and raced out to purchase Golden Dream Barbie. 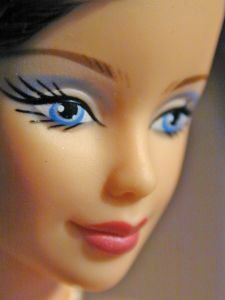 I brought her home, unwrapped her carefully, and discovered that I was kind of too old for Barbies by then anyway. The weirdest thing is, 37 years later, my daughter has more Barbies than you could pack into a Barbie camper (mostly hand-me-downs from older cousins). And what does she want, more than anything in the world? A budgie. Go figure!! I won a novel writing competition with the prize of publication. The book was scheduled to come out a few days after my birthday but when I mentioned that the publisher managed to bring it forward so it came out on my birthday (30 March last year). Don’t think a writer could have a better birthday present than a copy of their first published novel. I spent my 40th birthday alone and homesick, having just moved to the UK for a few years. I took a rowdy early-morning call from friends back home while I was in the dining room of a Scarborough hotel I’m sure was the model for Fawlty Towers, with shades of Mr Bean’s holiday hotel thrown in. The elderly hotel guests were tutting over their baked beans and kippers as this hysterical Australian woman howled with laughter (and a few tears) into the phone. At least the horror of the hotel eased the horror of turning 40!